The starting point for most identification attempts, aside from Coleoptera and Hymenoptera (with the exceptions of Blackburnia and Hylaeus respectively, covered in the most recent volumes). A huge resource of articles on all groups of native and introduced species. Most of the early records of alien species introductions are found here. Included the entire Pacific region with a lot of emphasis on New Guinea, but contains a number of major monographs on Hawaiian groups. Includes monographs, research articles, and starting in vol. 41, Records of the Hawaii Biological Survey with short notes on new species records and other scientific notes. A critical resource. Ford, E.J. Jr. 1953. The Genus Xyletobius on Oahu, with Descriptioins of New Species (Coleoptera: Anobiidae). Proc Hawaiian Entomol Soc 15(2):311-316. The native anobiids are relatively poorly studied. This covers only Oahu, but is still a useful guide. Gressitt JL, Davis CJ. 1969. Studies in the Plagithmysines, endemic Hawaiian Cerambycidae (Coleopt.). Proc Hawaiian Entomol Soc 20(2):331-393. The basic reference for identifying Plagithmysus, with a key to most of the species; however, it can be difficult to use. Gressitt JL, Davis CJ. 1970. A new Plagithmysine beetle from sandalwood (Col. Cerambycidae). Proc Hawaiian Entomol Soc 20(3):567-569. Gressitt JL, Davis CJ. 1971. New plagithmysines from Kauai, Molokai and Hawaii (Coleopt. : Cerambycidae). Proc Hawaiian Entomol Soc 21(1):67-77. Gressitt JL, Davis CJ. 1974. 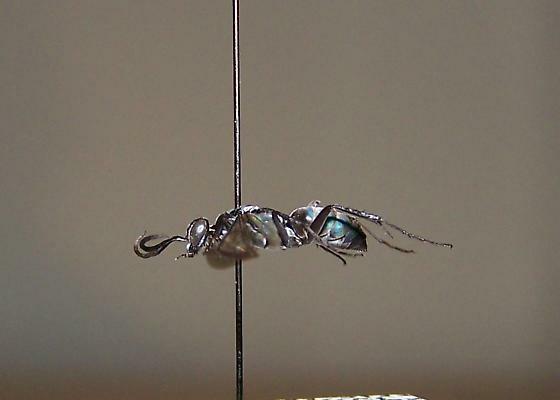 New Plagithmysines from Kauai, Maui and Hawaii (Col.: Cerambycidae). Proc Hawaiian Entomol Soc 21(3):359-363. Gressitt JL, Davis CJ. 1976. New plagithmysines from Kauai and West Maui (Coleoptera: Cerambycidae). Proc Hawaiian Entomol Soc 22:237-239. Gressitt JL, Davis CJ. 1976. A new plagithmysine from Ilex on Hawaii (Coleoptera: Cerambycidae). Proc Hawaiian Entomol Soc 22:241-243. Leeper JR. 1976. A review of the Hawaiian Coccinellidae. Proc Hawaiian Entomol Soc 22:279-306. Ladybugs of Hawaii, all introduced (mostly purposely for biocontrol). Zimmerman, E.C. 1940. Synopsis of the genera of Hawaiian Cossoninae with notes on their origin and distribution (Coleoptera, Curculionidae). Occasional Papers of the Bishop Museum 15(25):271-293. This covers the subfamily that includes most native weevils, but unfortunately does not key them to species. Samuelson, G.A. 2003. Review of Rhyncogonus of the Hawaiian Islands (Coleoptera: Curculionidae). Bishop Museum Bulletin vol. 11. An up to date reference for Rhyncogonus, which are becoming increasingly rare. Samuelson, G.A. 1981. A synopsis of Hawaiian Xyleborini (Coleoptera: Scolytidae). Pacific Insects 23(1-2):50-92. Scolytids are now considered a subfamily of Curculionidae, despite being un-weevil-like. There are both native and non-native species in this group, including several destructive invasives. The coffee berry borer is in the same subfamily but a different tribe. Magnacca, K.N., and D.K. Price. 2012. New species of Hawaiian picture wing Drosophila (Diptera: Drosophilidae), with a key to species. Zootaxa 3188:1–30. Magnacca, K.N., and P.M. O’Grady. 2009. Revision of the modified mouthparts species group of Hawaiian Drosophila (Diptera: Drosophilidae): The ceratostoma, freycinetiae, semifuscata, and setiger subgroups, and unplaced species. University of California Publications in Entomology vol. 130. Magnacca, K.N., and P.M. O’Grady. 2008. Revision of the ‘nudidrosophila’ and ‘ateledrosophila’ species groups of Hawaiian Drosophila (Diptera: Drosophilidae), with descriptions of twenty-two new species. Systematic Entomology 33(2):395–428. Hardy, D.E., K.Y. Kaneshiro, F.C Val, and P.M. O’Grady. 2001. Review of the haleakalae species group of Hawaiian Drosophila (Diptera: Drosophilidae). Bishop Museum Bulletin in Entomology 9:1-88. Bishop Museum Press. Magnacca, K.N., and P.M. O’Grady. 2008. New combinations in Hawaiian Drosophila and Scaptomyza (Diptera: Drosophilidae). Zootaxa 1926:53–60. Daly, H.V., and K.N. Magnacca. 2003. Insects of Hawaii vol. 17. Hawaiian Hylaeus (Nesoprosopis) Bees (Hymenoptera: Apoidea). University of Hawai‘i Press, Honolulu. 234 pp. The basic resource on Hawaiian native bees, with a key to males and females of most species. Magnacca, K.N. 2011. Two new species of Hylaeus (Nesoprosopis) (Hymenoptera: Colletidae) from O‘ahu, Hawai‘i. Zootaxa 3065:60–65. Magnacca, K.N. 2013. Hylaeus (Nesoprosopis) mamo (Hymenoptera: Colletidae), a new endemic bee from Oahu, Hawaii. Proceedings of the Hawaiian Entomological Society 45:59–63. Magnacca, K.N., W.T. Nagamine, and H.H. Dathe. 2011. Hylaeus strenuus (Hymenoptera: Colletidae), a new alien bee on O‘ahu. Bishop Museum Occasional Papers 109:23–24. Magnacca, K.N., J. Gibbs, and S. Droege. 2013. Notes on alien and native bees (Hymenoptera: Apoidea) from the Hawaiian Islands. Bishop Museum Occasional Papers 114:61–65. Beardsley JW. 1976. A synopsis of the Encyrtidae of the Hawaiian Islands with keys to general and species (Hymenoptera: Chalcidoidae). Proc Hawaiian Entomol Soc 22:181-195. Key to Encyrtidae; somewhat out of date now, but still very useful with this difficult group.